I don’t know about you, but I know that I look at a lot of articles and posts that I intend to go back and read. Sometimes I just can’t remember to do that or forget what site it was even if I book mark them. Recently, I found an app called Pocket that I had read a review on and I thought it looked pretty cool. 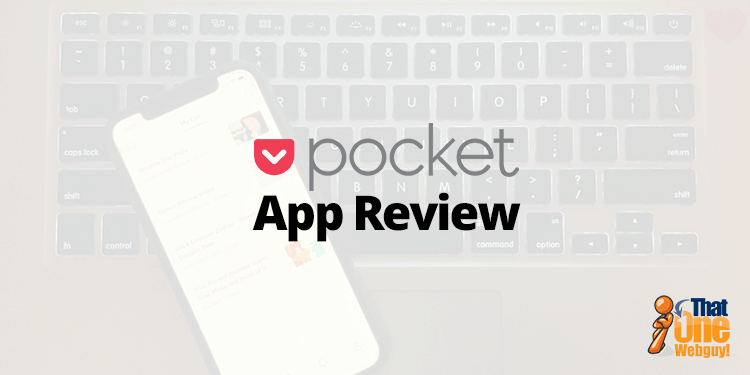 It’s called “Pocket” it’s an app or service that you can use on many devices to organize information you’d like to read or watch again. To do that all you need to do is stick it in your “Pocket”. Instead of just telling you about it I thought I’d created a quick video on how to use it. In the video I’m using an iPhone but you can also use it on android devices as well as your tablet. What is great, once you place it in YOUR pocket you can access it anywhere. I hope you find this video (and service useful). If you’d like to see more videos or tutorials like this let me know in the comments below or check back often. Thanks in advance.